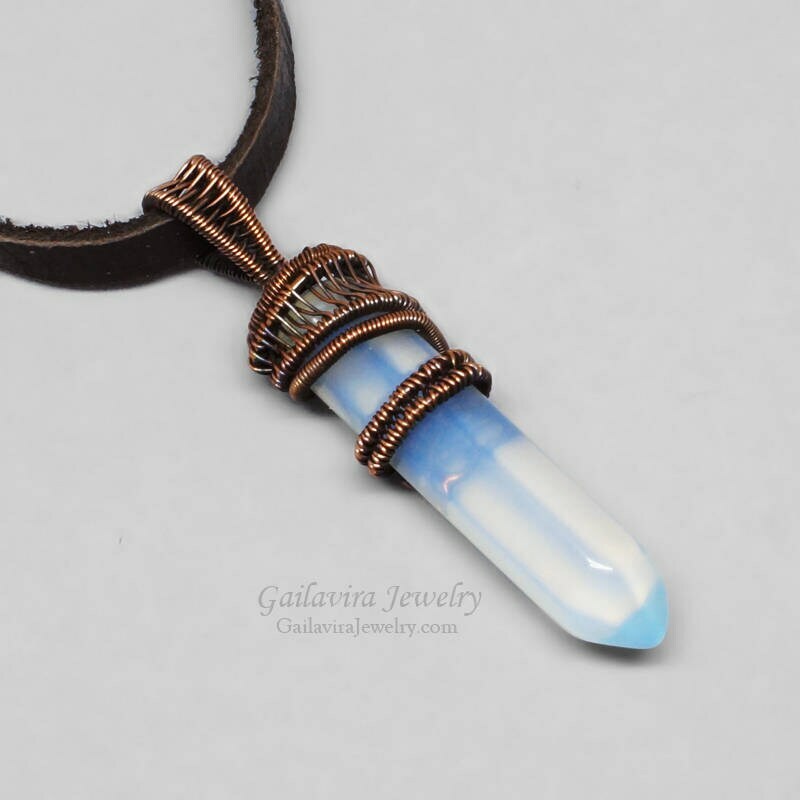 An Opalite crystal point, which almost glows when the light hits it just right, is wrapped in darkened woven copper and hangs from a necklace of your choice. 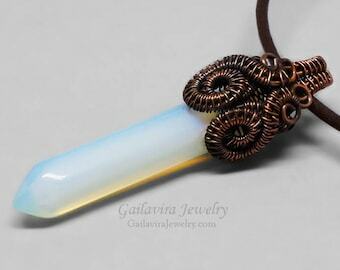 Pendant is approximately 1/2" (12mm) wide and 2 1/8" (53mm) long. 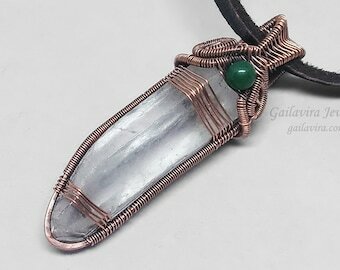 Pendant will be hung from your choice of necklace. Please make your selection using the drop down menus near the add to cart button. 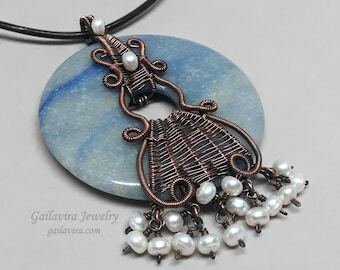 Necklace shown in the photos is a 5mm brown leather lace.